Ten days after the win for Leave in the EU referendum, Remainers were in a state of shock. And we still are. 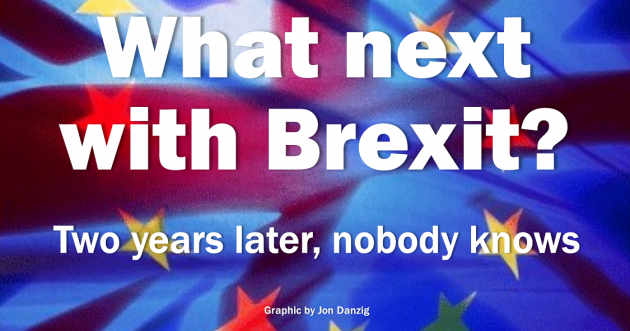 ‘Nobody knows what will happen next, not even those who so strongly campaigned for Brexit. And the shameful thing is that we still don’t have a clue. Some two years after the referendum result, nobody knows what Brexit means. How a borderless border on the island of Ireland could be achieved after Brexit. How our car manufacturers, over half of whose exports go to the EU, will be able to continue to have frictionless access to the Single Market, especially as up to 90% of car parts needed to make our cars come from the rest of Europe. What would be the status after Brexit of citizens living here from the rest of the EU, and our citizens living in the rest of the EU. The fact that without a free trade agreement with the EU, our imported food, most of which comes from the EU, would cost more. Which other countries the UK would be able to establish free trade agreements with, since after Brexit all our existing trade agreements with the rest of the world would have to be torn up. None of the voters knew the answers in the referendum, and we still don’t know. Not even our government ministers today can agree with each other how these issues (and thousands of others) will be resolved. So, how could the voting public have known in the referendum? The fact is that voters did not know what they were voting for in the referendum. We still don’t know what Brexit means. When we do know, let’s vote on that (for the very first time). In the meantime, here’s my article published on 3 July 2016 – ten days after the referendum. The unexpected has happened: Leave won, and now everything is uncertain. Suddenly, the country and our futures have been plunged into the dark. Nobody knows what will happen next, not even those who so strongly campaigned for Brexit. We now know they didn’t – and don’t – have a plan, except to leave the European Union, but precisely on what terms, nobody seems to have a clue. The government and the opposition are torn apart. We now have no one effectively running the country. Politicians are betraying each other in a scramble to lead us, but to where we simply have no notion. The country is also torn apart. What else could be expected from such a wafer thin majority for the ‘Leave’ win? 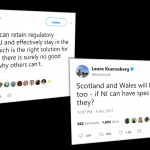 Scotland and Northern Ireland don’t want to leave the European Union; nor do important cities such as London, Cambridge and Norwich. Many other towns and cities voted half in, and half out. The referendum wasn’t even legally binding. It was meant only as advisory, with Parliament taking the final decision. But what will be Parliament’s decision? We don’t know, except to say that given a free vote, Parliament would overwhelmingly opt for Britain to remain in the EU. It’s only just over a week after the Brexit decision and the country is in turmoil, with uncertainty and confusion set to be on the agenda for years to come. It will take several years to extricate the country from the EU in what looks to be a messy, uncomfortable and complicated divorce. And it could take many more years for Britain to stabilise and find the way ahead. Negotiating new trading agreements with over 50 countries will take considerable time; so will amending our laws of the past 40 years that are intrinsically connected to our membership of the EU. It will be a long time before we will have any measure of whether the years of upheaval now facing the country will eventually give us any prize worth having. Many reading this may not live long enough to see the outcome. 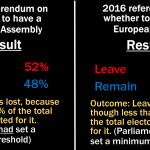 If Parliament had meant for the Referendum result to be binding, they would surely have raised the threshold for changing the status quo. After all, a two-thirds majority is usually required for constitutional changes in many countries across the world. A motion in our Parliament calling for an early General Election requires a two-thirds majority to be successful – and the calculation is based on two-thirds of all MPs, whether they vote or not. On that basis, the Referendum result fell far short. Many of those who voted ‘Leave’ have now changed their minds; they have expressed shock and bewilderment at the crisis the Brexit vote has triggered. Many are now angry, in the growing realisation, that the claims and promises made by the ‘Leave’ campaign were entirely untrue and completely undeliverable. Yesterday over 50,000 people marched in London to express their protest at the Brexit decision. And over 4 million people have signed a petition requesting another referendum. 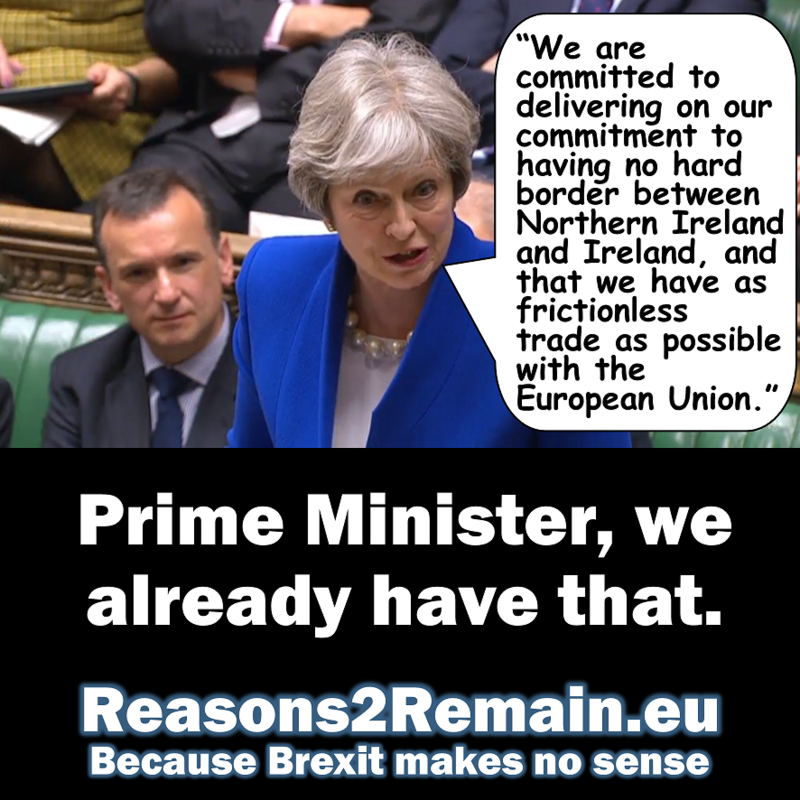 But there are also many who remain resolute that Brexit is the right route for Britain, and they relish ‘getting back their country’ and ‘taking control’. Others of us are still mystified as to what that really means – we miss the country we now seem to have lost, and we fear for who now is going to take control. There could be an early General Election if Parliament so deems it. The LibDems have pledged to make staying in the EU, or re-joining, their manifesto promise. Would that make any difference? Parliament might vote against the Referendum decision – but what would that do to peace in our country? The Referendum result might be legally challenged. Scotland might attempt to leave the UK so that it can re-join the EU. There might be another referendum in a few years on whether we actually accept the EU divorce settlement or, on reflection, prefer to remain a member. Or we might all have to buckle down and accept that we are on an unstoppable course to Brexit, regardless of the fact that around half of those who voted (maybe more now), and a majority of our Parliamentarians, don’t want that to happen. I’d like to warmly thank everyone for their generous support and help for this Community page, which I know from many readers comments has been highly regarded and appreciated. There now needs to be a short period of reflection whilst we take stock and decide what next with our campaign. 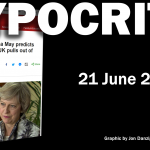 This entry was posted in Current Affairs, Democracy & Citizenship, Media & Communications, Politics & Public Policy, The EU and tagged border Ireland, brexit means brexit, car manufacturing, EU citizens, EU referendum, European Union. Bookmark the permalink.